Momentum is proud to provide various training programs for every level and age. There are no contracts, and we always encourage a free trial lesson. Students have unlimited participation in the night classes for their belt rank. 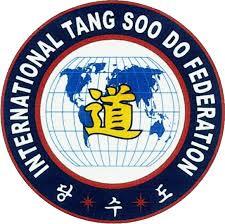 Students will learn the traditional Korean art of Tang Soo Do as instructed by the International Tang Soo Do Federation. From Beginner to Black Belt students are expected to show the proper spirit and etiquette of Tang Soo Do. Our instructors will guide you and/or your child to unlock the champion within! Beginner Ranks are beginners and White Belts to solid Orange Belts. Intermediate Ranks are Orange one-stripe Belts to Green two-stripe Belts. Advanced Ranks are solid Red Belts and higher. Our exciting summer camp karate skills program includes up to 4 karate classes per week will help your child develop focus, confidence, self discipline and respect! Our camp provides children a safe environment to stay physically and mentally fit through the summer months. Kid’s love our field trips! We offer 3-4 field trips each week to our local parks and swimming pools, movie theater, Chuck-e-cheese, and Roller Skating. We keep your child busy and having fun with various indoor and outdoor activities throughout the day! Our birthday parties are unique and are tons of fun for the kids. Best of all, we do all the clean up! We do 45 minutes of exciting martial art skills, games and activities on the karate floor. The remaining time is used for cake and presents. Birthday parties are held on Saturday or Sunday afternoons and must be reserved at least two weeks in advance. Cut your cake with a REAL NINJA SWORD! For your little tyke who wants to get in on the action. Our Little Masters are prepared for the belt program through interactive and fun games that improve balance, coordinate, strength, determination, confidence, and their ability to follow instructions. Private Instruction / Private P.E. Enjoy one-on-one instructions for those who want a personalized experience with a Momentum instructor. Homeschool students will benefit from a private physical education class tailored to their school requirements in a fun and engaging environment. Contact us for information on physical education classes for family groups or homeschool groups. The regular Belt Program classes will also fulfill the physical education requirements of Conroe Independent School District (CISD) schools. The following program schedule applies to all days of the year unless otherwise noted on the Upcoming Events schedule or on the dojang notice board. The Little Masters and Belt Classes run for 45 minutes. Private Instructions/Private P.E. vary by appointment. *Parents must be present for the duration of Little Masters classes. 11:00 am to 2:00 pm Private Instruction / P.E. 11:00 am to 2:00 pm Private Instruction / Private P.E. 12:00 pm to 2:00 pm Private Instruction / Private P.E.